The program has generated $1.65 billion in interest payments to date. For years, Republican politicians have railed against the federal loan program that backed the now-bankrupt solar manufacturer Solyndra, painting the program as wasteful and corrupt. But the U.S. Department of Energy loans program cannot be undone by the new president alone, Bloomberg reports. Only Congress can end the program by passing new legislation. The question is: Why would Congress want to? Program leaders say the loans have performed well overall, and note the program is designed to support infrastructure and energy projects that should appeal to the new administration. Not only has the program’s loan portfolio generated about $1.65 billion in interest payments to date, its mission to support major energy projects fits into Trump’s goal of stimulating investment in the U.S., said Jonathan Silver, a former head of the loan programs office. The DOE Loan Programs Office was created during the George W. Bush administration in 2005 as a way to support innovative energy companies that have been unable to get financing from commercial and investment banks. In 2009, President Obama boosted funding for the loan program through the American Recovery and Reinvestment Act. By the fall of 2011, the loan program had supported five solar projects larger than 100 megawatts. 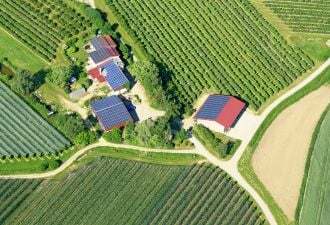 Since then, the U.S. utility-scale solar market has boomed. Through the Advanced Technology Vehicles Manufacturing (ATVM) program, the same loan office has supported Ford, Nissan and Tesla, the last of which repaid its loan nine years early. While Solyndra continues to garner attention, the loan program has a loss ratio of just 2.33 percent on $32 billion in commitments. That fail rate is better than most banks, according to former program head Peter Davidson. Shayle Kann, vice president of GTM Research, pointed out that it’s too early to judge overall portfolio performance, since many of the loans are still in repayment, but 2.33 percent in loan losses “is well within the expected band,” he said. If losses remain low, the DOE could still end up making money on the overall portfolio. 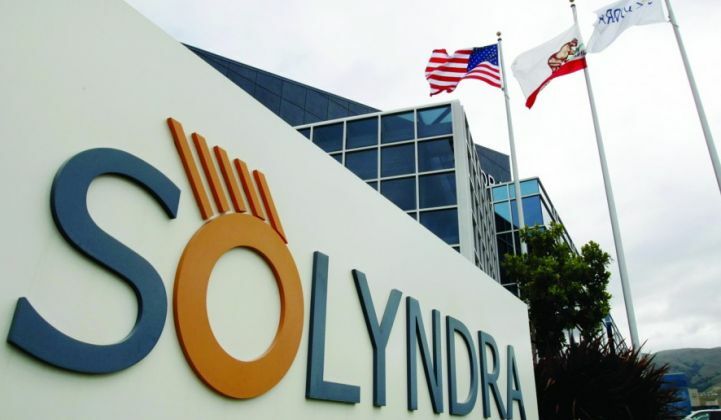 In a 2014 report, DOE calculated that the program will make more than $5 billion in interest payments to the U.S. Treasury over the full term of the loans -- despite the Solyndra losses. Looking at it a different way, the net cost of the loan program is on track to be half of the originally anticipated cost. According to the Government Accountability Office, “The total expected net cost to the government over the life of the loans [was found to be] about $2.2 billion as of November 2014, including about $807 million for five loans on which borrowers had defaulted. The estimated $2.2 billion in credit subsidy costs was a decrease from DOE's initial estimates totaling about $4.5 billion." The DOE is expected to issue one or more new loans before President Obama leaves office. It’s one of the few steps the White House can take to advance clean energy in the U.S. with an uncertain policy future ahead. While Congress would have to pass legislation to throw out the loan office, Bloomberg notes that the new Energy Secretary could effectively kill the program by refusing to sign off on any new loans. It's currently unclear what Trump's rumored DOE picks would decide to do. Mark McCall, the current program director, said the Energy Department still has about $40 billion allocated for loans, with pending applications seeking even more.